1 ) ((HARD)) CHICK-A-CHERRY-COLA: So you may have heard about hard root beer. Hard soda has also been stepping into the limelight with the introduction of Henry’s Hard Soda on the market. 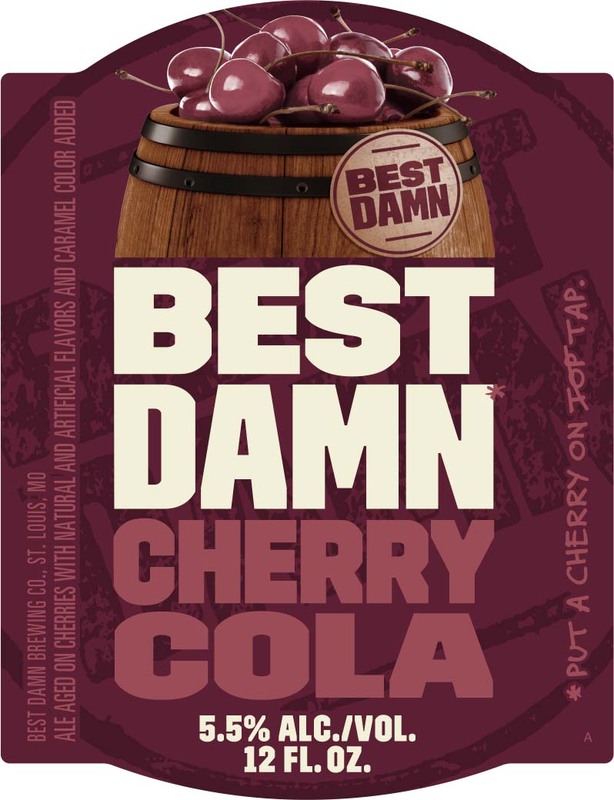 But Anheuser-Busch’s Best Damn Brewing Co. is stepping up its own hard soda game by adding cherry cola to the mix, The Daily Meal reports. You’ll see it on shelves within the next week or so…but why did they decide on cherry cola of all the cola flavors? Read on here. 2 ) PEENO NOIR (FOR REALZ! ): If you aren’t on the Unbreakable Kimmy Schmidt bandwagon on Netflix, you need to jump on it right quick! Titus, one of the main characters, sings a song called “Peeno Noir,” and now Tituss Burgess, the actor playing him, has decided to make his own line of guess what, PINOT NOIR THE REAL WINE, Eater says! To catch you up on Titus’ amazing song Peeno Noir, watch below, and for the deets on when you can pick up a bottle yourself, click here. 3) CHEESECAKE FACTORY COMING TO NYC: Yep, it’s true. The incredibly amazing cheesecake haven with a menu that’s a book is coming to NYC, according to Grub Street. But not where you automatically assume. Read on, here. 4 ) BLACK COLONEL SANDERS? : You may have noticed there have been several different Colonel Sanders in the KFC commercials. First there was comedian Norm McDonald, then comedian Jim Gaffigan promoting the “Finger Lickin’ Good” chicken, and now there are rumors actor David Alan Grier could be another Colonel Sanders, Eater says. Grier tweeted this, “Breaking News: David Alan Grier has been cast as the first African American Colonel Sanders in the new KFC ad campaign.” But is it true? Read on, here. 5 ) REWARD FOR PUTTING THE PHONE DOWN: I saw this on Twitter a few days ago but now that it’s really popping up, had to share this cool story! 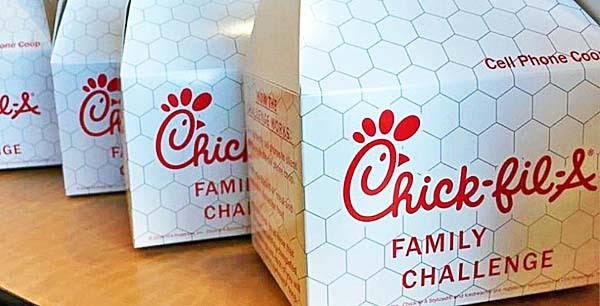 Chick-Fil-A has put out a new challenge to families coming to its establishment for a meal, Grub Street reports. It’s the “Cell Phone Coop Challenge,” where you essentially put your phone in a box during the meal to make your meal less distracting and enjoy family time! The reward? Read on, here. In case you couldn’t get enough of the Rainbow Bagels, BuzzFeed Food has 7 easy rainbow themed recipes for you to make!! Click here. CONNECTICUT: Tea...with Honey...WithOUT The Fuss!